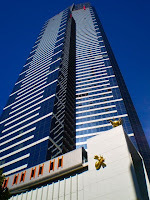 Home of the tallest building in the southern hemisphere (The Eureka Sky tower – http://www.eurekaskydeck.com.au/) and the cultural capital of Australia (Although Sydney would contest that! ), Melbourne is probably the most British city I’ve ever seen outside of the UK, but with even more unpredictable weather! Known for its ability to be affected by 4 or more different weather systems in one day, be prepared for anything! 1. BEST Attraction/experience no matter the expense! The good news is, this is free… until you end up buying out the whole place that is, which you probably will. A traditional foodies heaven, a huge selection of meats, cheeses, breads, chutneys, olives, and every deli product you can think of, all divided between lots of permanent market stalls. We bought ourselves a selection of tasty goods and had ourselves a picnic in the food court, yum! – http://www.qvm.com.au/ closed Mondays & Wednesdays, hours vary so check the website. Australia is not a cheap place, so finding fun for a fiver can be a bit of a challenge. However, the classic trams run a circle around the city centre, not only are they free to hop-on hop-off but they look pretty cool and have a practical purpose too! Multi-bonus! But make sure you get on the city circle tram, it shares the line with regular trams, and these are not free. Its an old-school amusement park! I can’t vouch for the rides inside as it was closed when we were there, but getting a photo of yourself being consumed byt the scary gatehouse is still possible. Fun! – http://www.lunapark.com.au/ check opening times in advance… we should have thought of that! It seems to be becoming a little more touristy, but not to the point of an actual tourist trap or anything and, of course, its free. The melbourne graffiti is of a very high quality – this is certainly art, not vandalism, and there are many places to see some great pieces. Hosier Lane has plenty of examples for viewing, and is conveniently located very near Flinders St Station. – http://www.melbournegraffiti.com/ for more info on where to find the good stuff. St Kilda beach is one of the most popular beaches in Melbourne, an obvious choice for restaurants, bars and cafes with a frenetic nightlife (sometimes!). We headed there for the slightly more chilled out afternoon session only to discover a bar right on the beach with massive wicker eggs for us to sit in. We decided right then if we ever settle down we’ll be buying eggs for our deck! There are a variety of facilities on offer to those staying at Melbourne Central YHA Hostel, such as a 24-hour reception, free Wi-Fi and luggage storage. A shared kitchen, a tour desk and laundry facilities are also provided. Melbourne’s well-known attractions are within close proximity , with Prahran Market only 10 minutes away. It is also within walking distance of Chapel Street, St Kilda Cricket Ground and Fawkner Park. 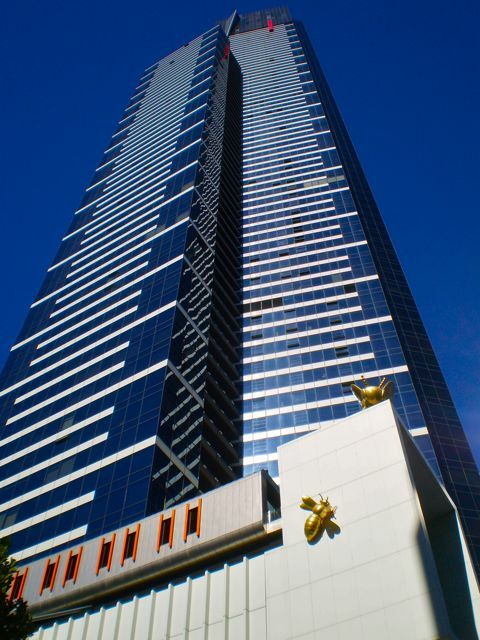 Looking for hotel options in Melbourne? We recommend HotelsCombined. They have a great selection and help you get the best possible price! 10 Fun (but super cheap) things to do in Brisbane!